Gravity is the force that holds us to the Earth, and holds the planets in their orbits around the Sun. It is such a constant presence in our lives that it’s difficult to image gravity acting any other way. But what if a million years ago gravity were much weaker than it is now? What if gravity were stronger in the Andromeda Galaxy than it is in our own Milky Way? If gravity varied over space and time, how would we know? This is an important question in astronomy, since we assume that gravity is a physical constant, meaning that it has always been the same everywhere throughout the history of the universe. Because of this we can compare observations of different regions of the sky with experiments we do on Earth to understand the cosmos. If gravity weren’t constant, a basic assumption of astronomy would have to be changed. But in science we can’t simply assume something to be true, we have to keep testing our assumptions to see that they’re accurate. Fortunately, there are ways to study whether gravity has changed. At a basic level, it certainly appears that gravity is the same everywhere. For example, if gravity were stronger in some regions of the universe we would expect stars and galaxies in that region to be more tightly clustered together than in other regions. What we observe is than on large scales galaxy clusters are spread out fairly evenly. When we look at stars in our own galaxy, they behave just as we’d expect if gravity is constant. While these general observations are nice, they don’t really determine whether gravity is truly a physical constant, or if it’s just “kind of” constant. To really test gravity we have to make very precise observations over space and time. One way to do this is to look at Type Ia supernovae. These massive explosions of a dying star have a maximum brightness (known as their absolute magnitude) that we can determine accurately. This brightness is determined in part by the strength of gravity, so if gravity varied across different regions of space, we would expect these supernovae to have varying absolute magnitudes as well. In 2014, a team of astronomers studied more than 500 of these supernovae, and found (to within one part in 100 million) there was no apparent difference in the strength of gravity. There observations covered 65% of the visible universe, so across billions of light years gravity seems to be constant. This year another team analyzed 21 years of data to determine whether gravity changes over time. In this case they looked at the bursts of energy coming from a pulsar. A pulsar is a dense neutron star with a strong magnetic field. 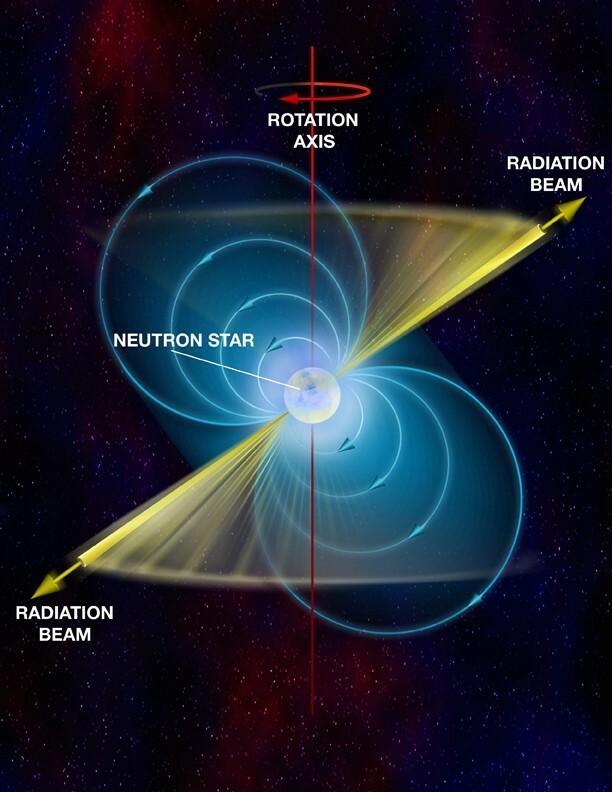 Because of its magnetic field, beams of radio energy emanate from the pulsar’s magnetic poles. As the pulsar rotates, the beam can sweep across our field of view like a lighthouse. Since the rate of the pulses depends on the pulsar’s rotation, they are very regular. By measuring the pulses very precisely we can determine the pulsar’s motion and any changes in that motion with great precision. 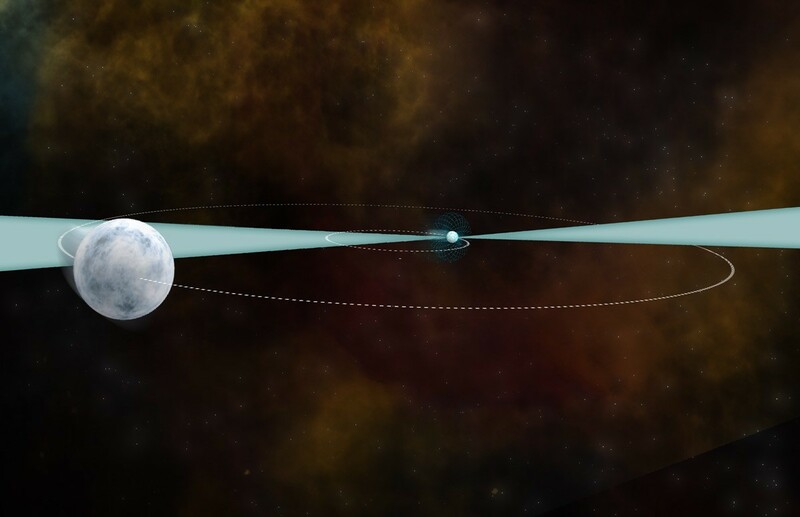 In this case the team looked at a pulsar that rotates hundreds of times a second (known as a millisecond pulsar because the pulses are only milliseconds apart). This particular pulsar also has a wide orbit around a companion star, so the orbit of the pulsar could be measure. If gravity were to change the orbit of the pulsar would correspondingly change. But the team found that over a 21-year period there was no observed change of the strength of gravity. Specifically, they found that the strength of gravity could have changed no more than 1 part in a trillion. We’ll never be able to prove with 100% certainty that gravity doesn’t change, but every experiment we have done so has found no evidence of any change over the entire history of the universe. As best we can tell, gravity truly is a constant of nature. So how did the force get its value ?